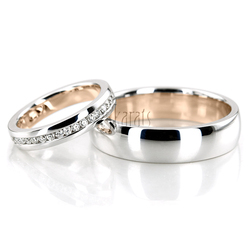 Traditional comfort fit wedding band set with modern twist. 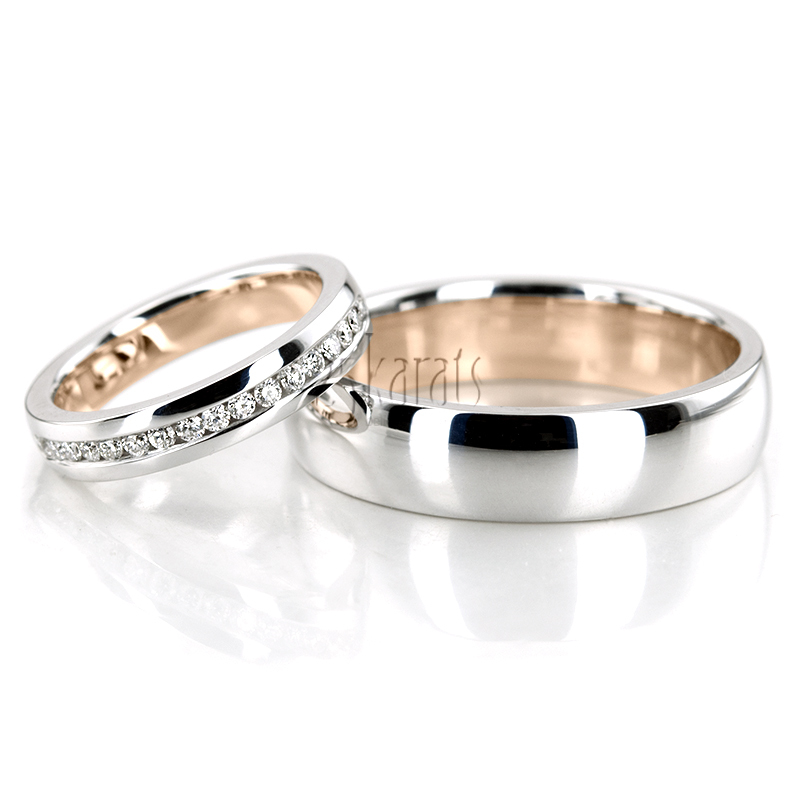 This newly design two tone wedding band set is enhanced with 0.25 ct. t.w channel set brilliant cut diamonds for her. Finished White gold outside and Yellow gold inside. if you would like this set to be finished with different gold color combinations simply contact us. Total Gram Weight*: 18.69 grams. Diamond size 1: 17 pieces x 1.5mm Round cut with Channel Set - G/H Color - SI1 Clarity - 0.255 ct.tw. Total Carat Weight: 0.26 ct.